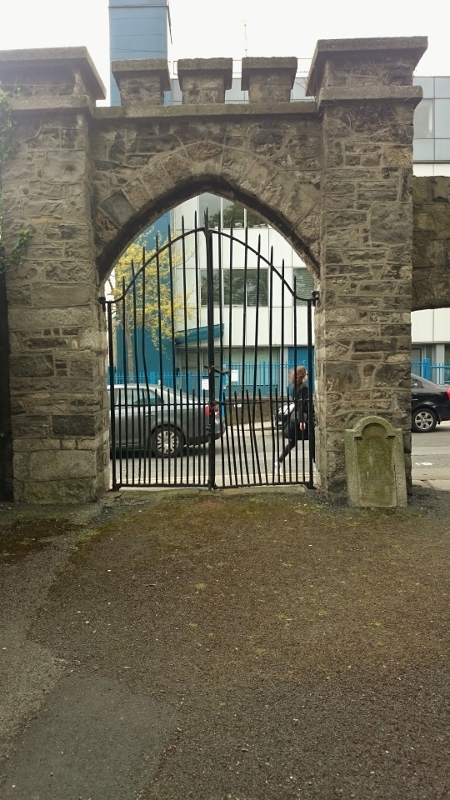 Visiting a hidden-away part of Dublin city centre earlier this month near Aungier Street, I came across a little-known story about a significant event in the history of the Irish Catholic church 431 years ago on this day. By coincidence, June 20th 1584 was also a Saturday. 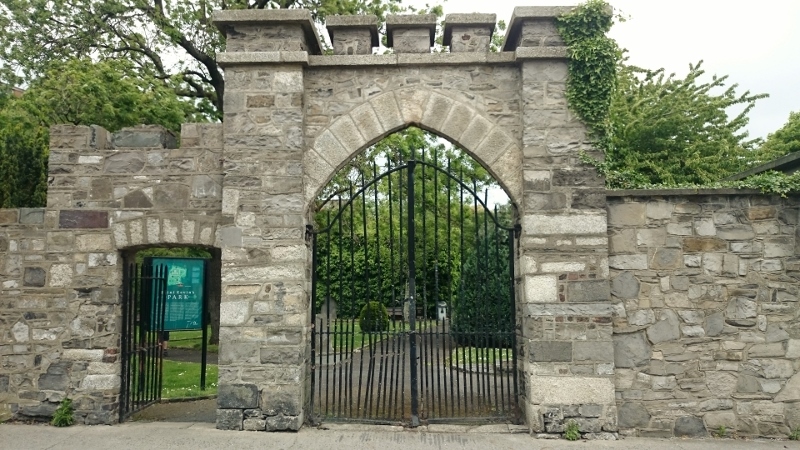 Walking along Camden Row off Wexford Street, I came across a small green area behind a wall, with an interesting arch and gate at the entrance: Saint Kevin’s Park. I decided to take a look. There is a very helpful information board at the entrance, provided by the Parks Division of Dublin Corporation (now Dublin City Council). 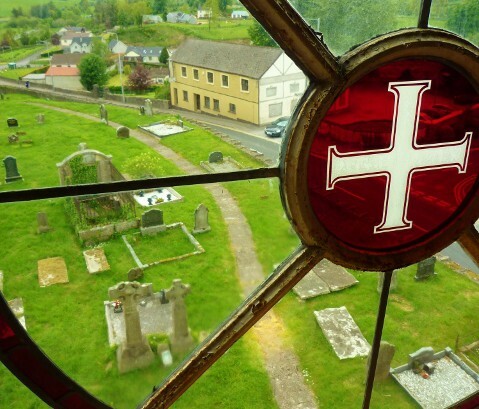 This is the story of one of the Irish Catholic Martyrs during the reign of Queen Elizabeth I. On 27th September 1992, he was beatified by Pope John Paul II, alongside sixteen other Irish martyrs, who share this feastday. Another martyr, Saint Oliver Plunkett, was beatified in 1920 and canonised in 1975. 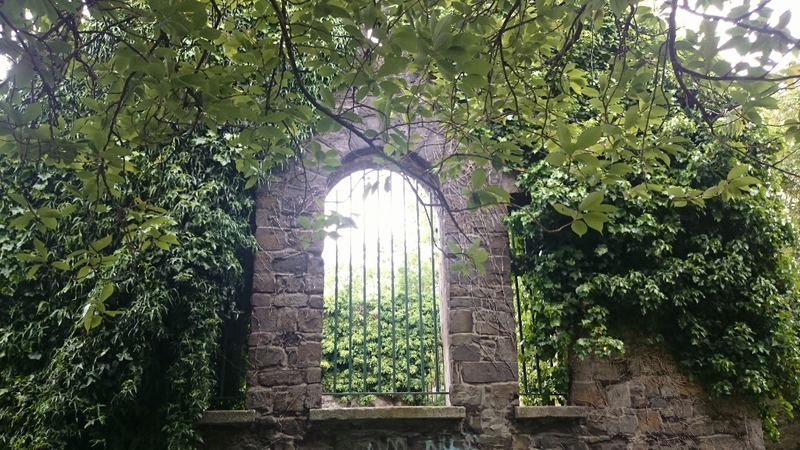 Inside the park you can see the ruins of Saint Kevin’s church. 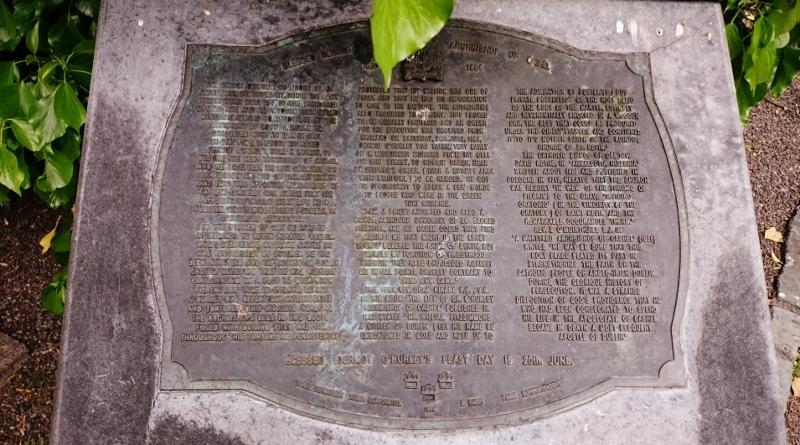 Beside the wall at the south-eastern corner, there is a stone memorial resembling a pulpit, with the bishop’s coat of arms on the front and on top, a bronze plaque with a dedication to Archbishop O’Hurley. protested that his mission was one of peace and that he had no information to give to his captors. The authorities also resorted to bribery. This proved to be equally fruitless and an order for his execution was received from England on Saturday 20th June, 1584. 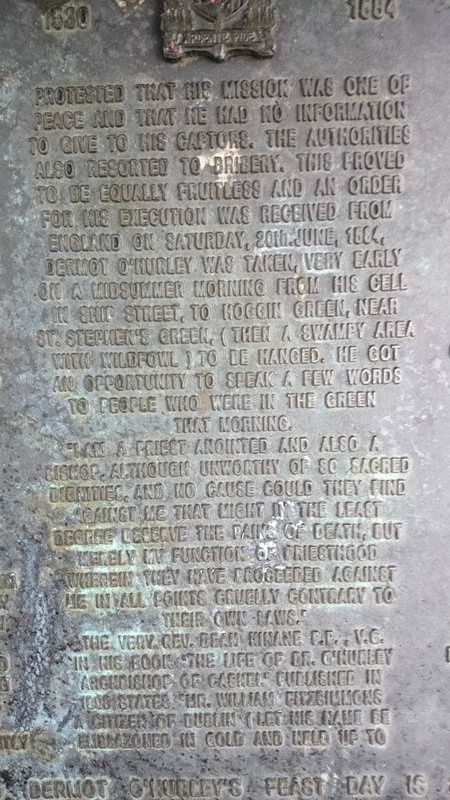 Dermot O’Hurley was taken, very early on a midsummer morning from his cell in Ship Street, to Hoggin Green, near St Stephen’s Green, (then a swampy area with wildfowl) to be hanged. He got an opportunity to speak a few words to people who were in the Green that morning. ‘I am a priest anointed and also a Bishop, although unworthy of so sacred dignities, and no cause could they find against me that might in the least degree deserve the pains of death, but merely my function of priesthood wherein they have proceeded against me in all points cruelly contrary to their own laws’. the admiration of posterity) got private possession of the holy relic of the body of the martyr, lovingly and reverentially encased in a wooden urn, the best that could be procured under the circumstances and consigned it to it’s (sic.) mother earth in the ruinous church of St Kevin’. 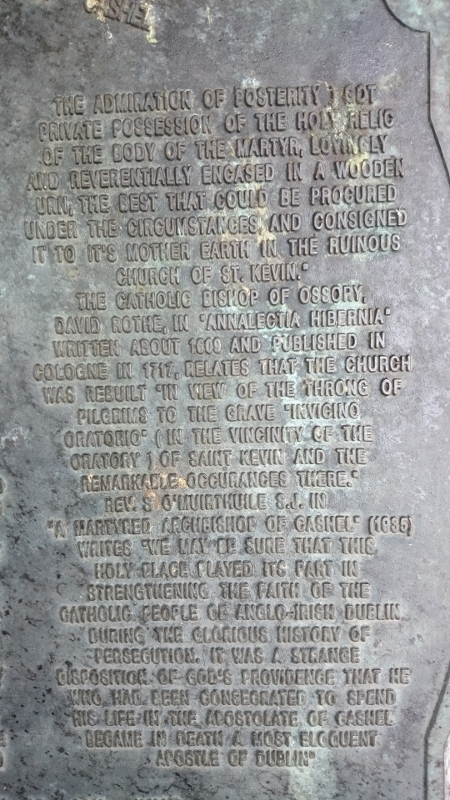 The Catholic Bishop of Ossory, David Rothe, in ‘Analecta Hibernia’ written about 1609 and published in Cologne in 1717, relates that the church was rebuilt ‘in view of the throng of pilgrims to the grave “in vicino oratorio” (in the vicinity of the oratory) of Saint Kevin and the remarkable occurrances (sic.) there’. Rev. S. O Muirthuile S.J. in ‘A Martyred Archbishop of Cashel’ (1935) writes ‘we may be sure that this holy place played its part in strengthening the faith of the Catholic people of Anglo-Irish Dublin during the glorious history of persecution. 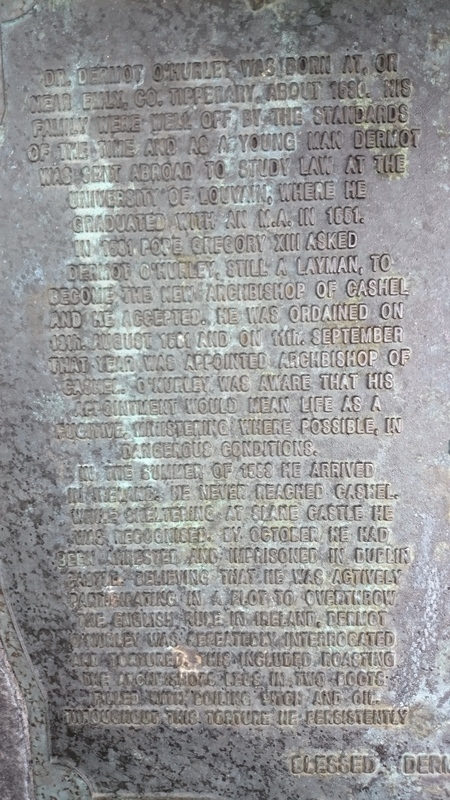 It was a strange disposition of God’s providence that he who had been consecrated to spend his life in the apostolate of Cashel became in death a most eloquent apostle of Dublin’. 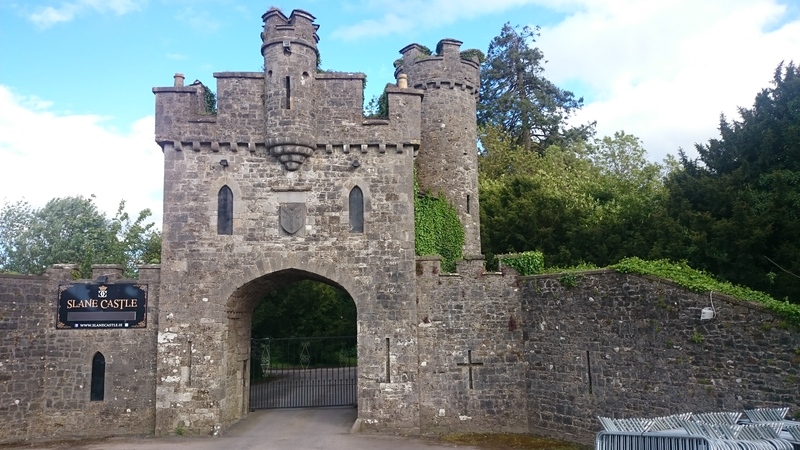 The above reference to Slane Castle caught my attention and I decided to investigate it further. The Castle referred to is not the present building, the home of the Conyngham family since 1703. The Castle was for many years the seat of the Flemings, an Anglo-Catholic family. The tenth Baron Slane Thomas Fleming (died 1601) was a member of the Parliament of Ireland of 1585. He was the son of James Fleming, a grandson of James Fleming, 7th Baron Slane. His mother was Ismay Dillon, daughter of Sir Bartholomew Dillon, Lord Chief Justice of Ireland. He succeeded to the barony after the death of his cousin James Fleming, 9th Baron Slane. He was the only noble to serve with Walter Devereux, 1st Earl of Essex against Turlough Luineach O’Neill, the ruler of Ulster, in March 1574. He was one of the leaders of the opposition to the policies of Sir John Perrot, the Lord Lieutenant of Ireland, in the 1580s. 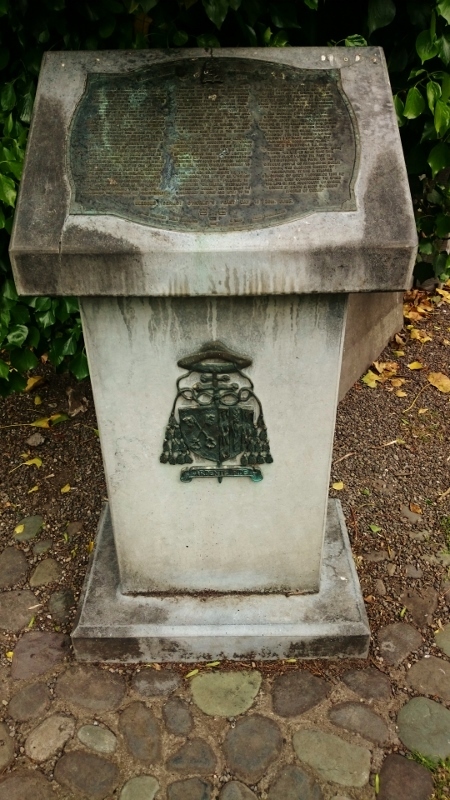 His relative the thirteenth Baron Slane was (Catholic) Archbishop of Dublin, a Franciscan priest who, like O’Hurley, had studied at Louvain. 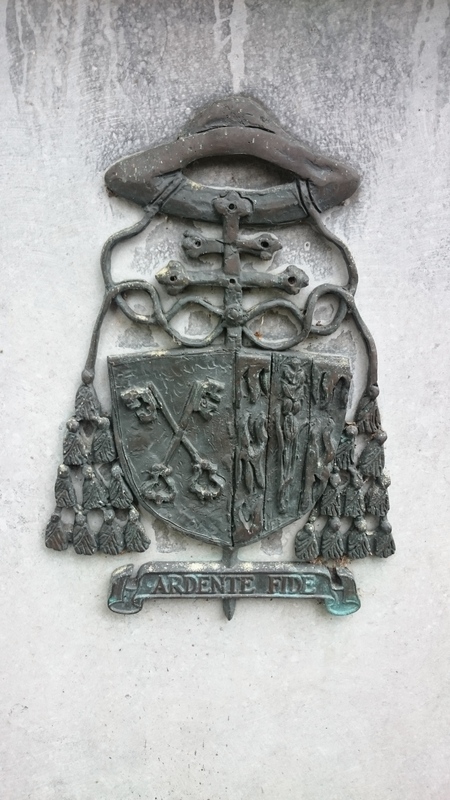 The episcopal motto for Archbishop O’Hurley was “Ardente Fide” (burning, or ardent faith) and the coat of arms forms part of the memorial in the park. So on this anniversary let us remember him and the other Irish martyrs who died for their faith. Semper et ubique fidelis, in the words of our school motto in Dublin.